Northeast Top Notch Landworks is a full service landscaping company and has been providing exception customized service to our customers for over 15 years. As a Concord landscape company, we provide one-stop shopping for all areas of landscaping services including design, retaining walls, lawn repair and restoration, retaining walls, yard expansion, drainage, mulching, tree and shrub planting and snow removal for residential and commercial customers. As each of our customers has different needs, all of our projects and designs are customized to satisfy each customer’s individual requirements. 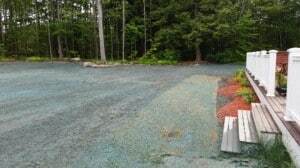 No matter what type of New Hampshire landscaping project you have, Northeast Top Notch Landworks can help by providing you the highest quality service in the area, while ensuring you are satisfied with the final results!